“I wholeheartedly recommend this cd to you and all the other work that will emanate from Bill in the future.”. Do You Hear the Drummer Boy? Click Here To Order Hymns for Christmas Now! After working with Bill, Grammy Award winner and Gospel Hall of Fame member Sherman Andrus said, “I was so amazed at his range in styles and his ability play each so skillfully.” If you’re a fan of piano music, of Gospel stylings, and especially if you love Christmas Carols, Bill’s Christmas Hymns album is a must-have. Bill’s playing has evolved over three decades, having been classically trained, and then influenced over the years by everyone from the Beatles and Elton John to Andrae Crouch and Israel Houghton. But it’s his more than 20 years of practical experience leading church music that comes out most in this album. 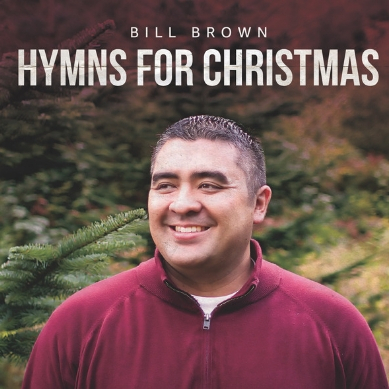 So click the order button below and get instant access to Bill Brown’s “Hymns for Christmas” album, and discover why his playing is requested for church gatherings, pastor’s conferences, weddings, private parties, piano bars, and basically any time someone needs piano. “Hymns for Christmas” via email!